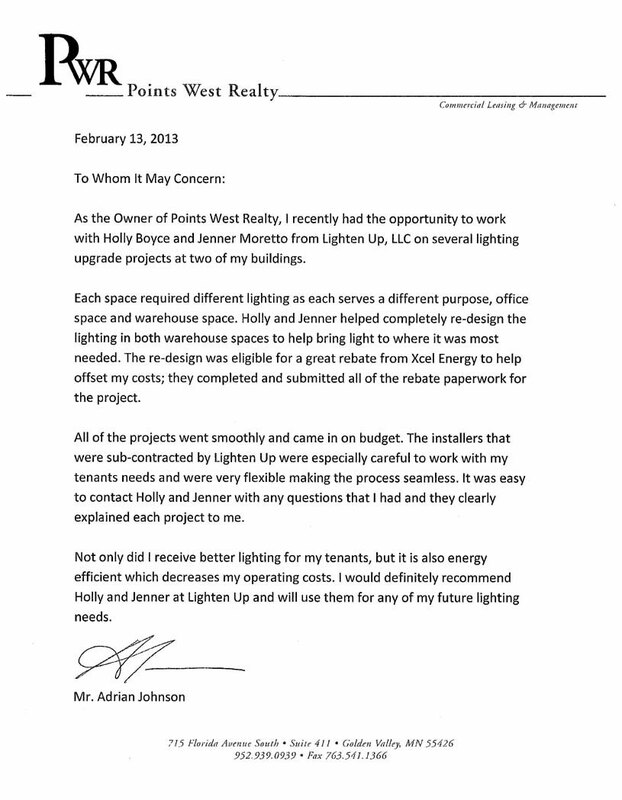 We offer custom energy saving lighting solutions for commercial, industrial and retail properties. 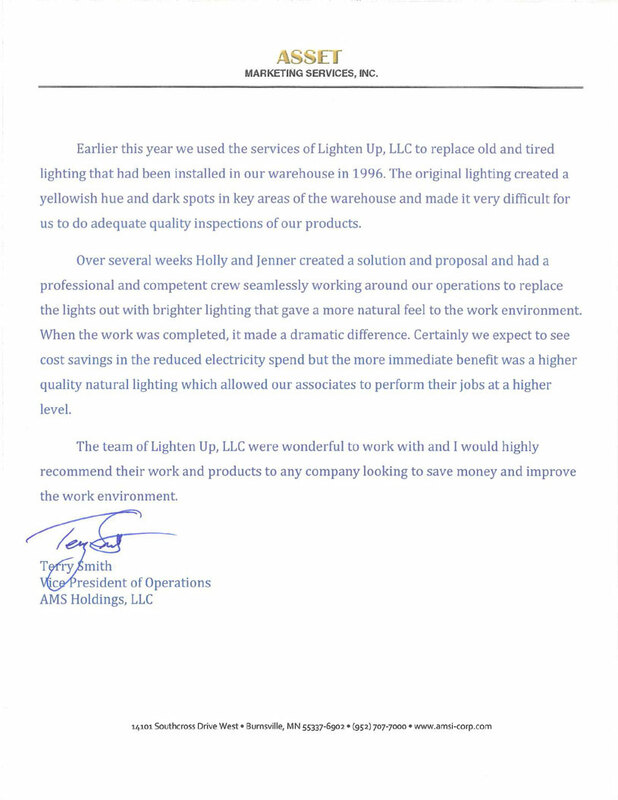 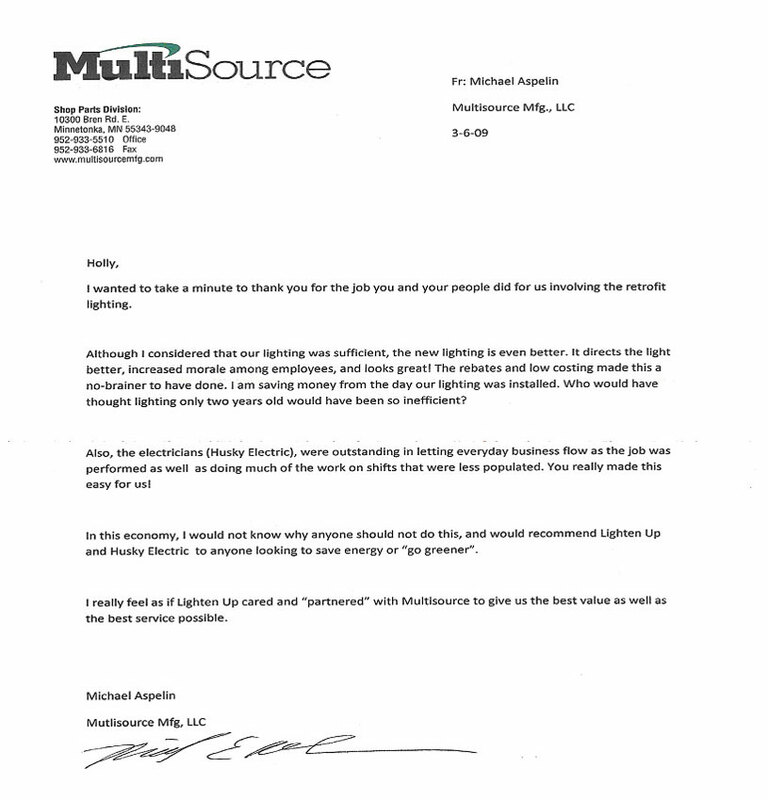 With over 20 years combined experience, Lighten Up offers superb customer service, quality material, and optional worry free installation on all interior or exterior lighting projects. 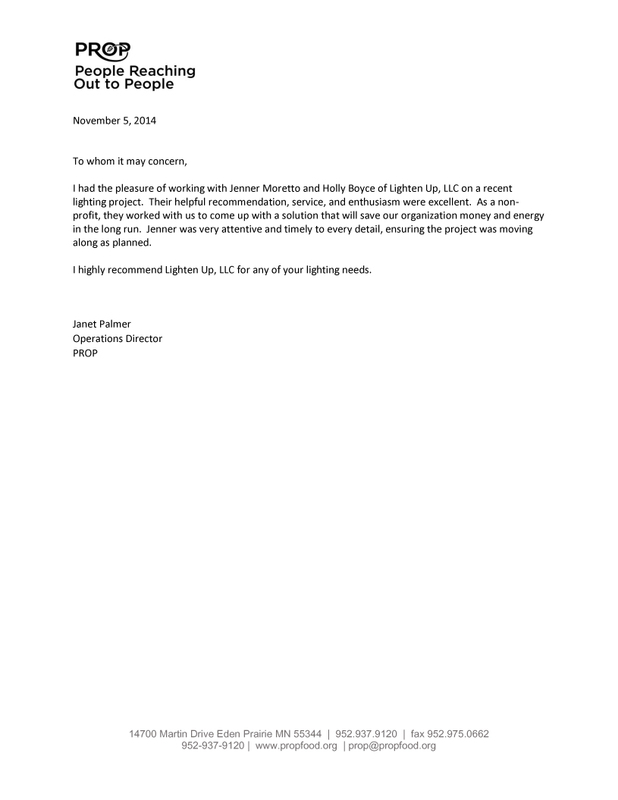 Lighting retrofit projects save costs on electrical energy savings and costs labor, or start with new efficient lighting with new construction. 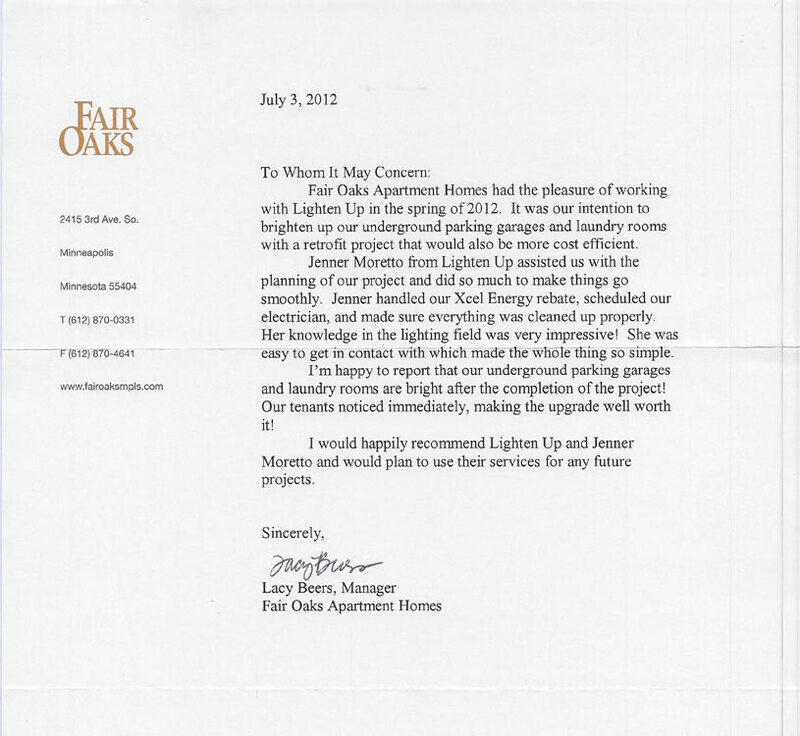 Are you ready to save money while lowering your carbon footprint? 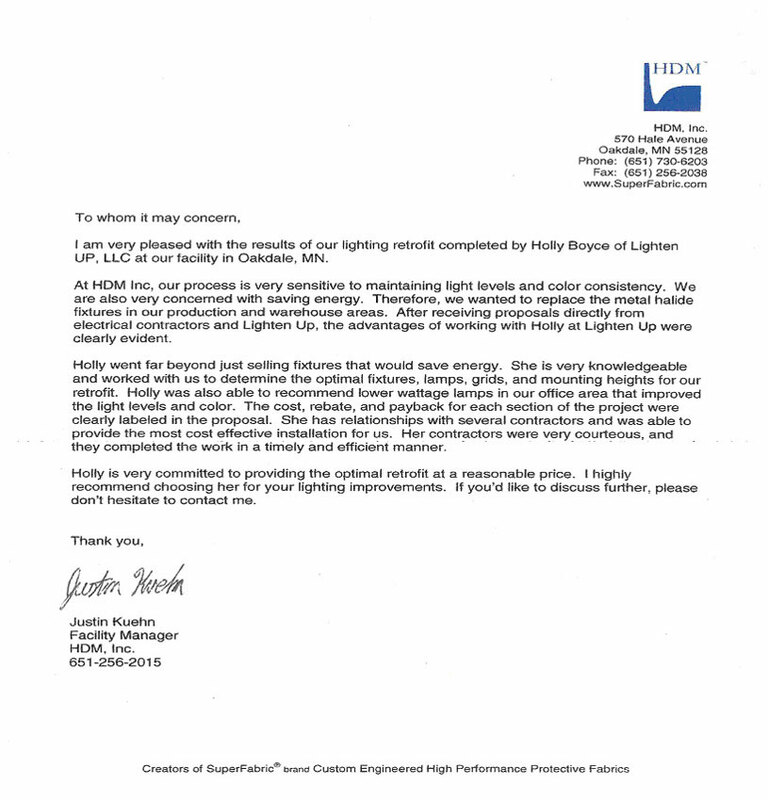 We offer you a free lighting audit so that we can calculate your savings and inform you of the solutions and options we can provide. 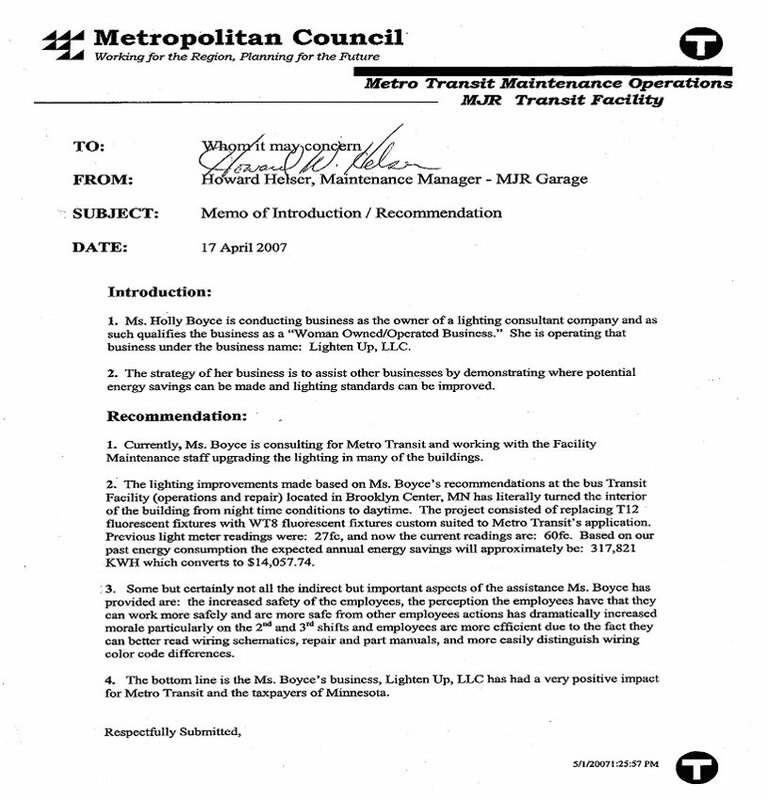 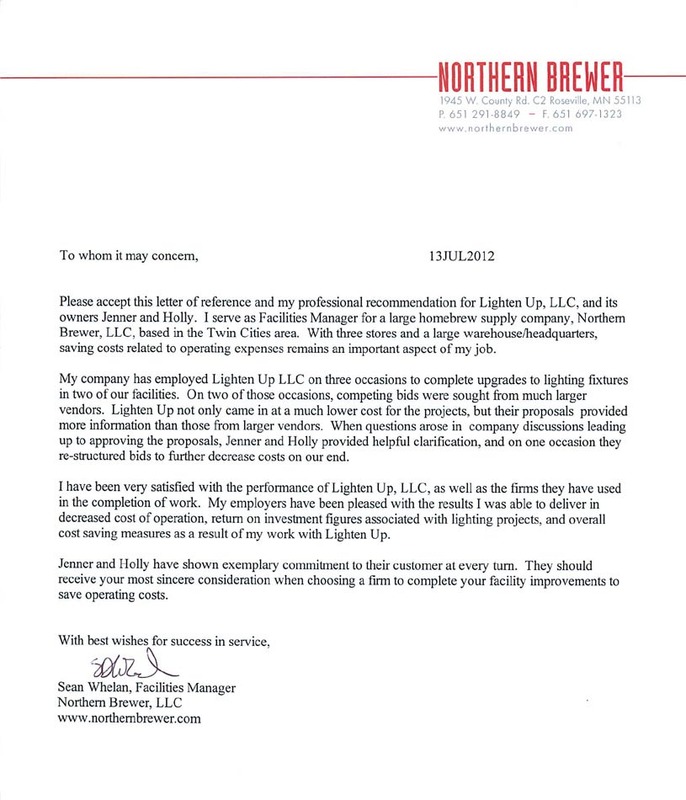 Rebates are available for existing commercial facilities of any size and lighting needs. 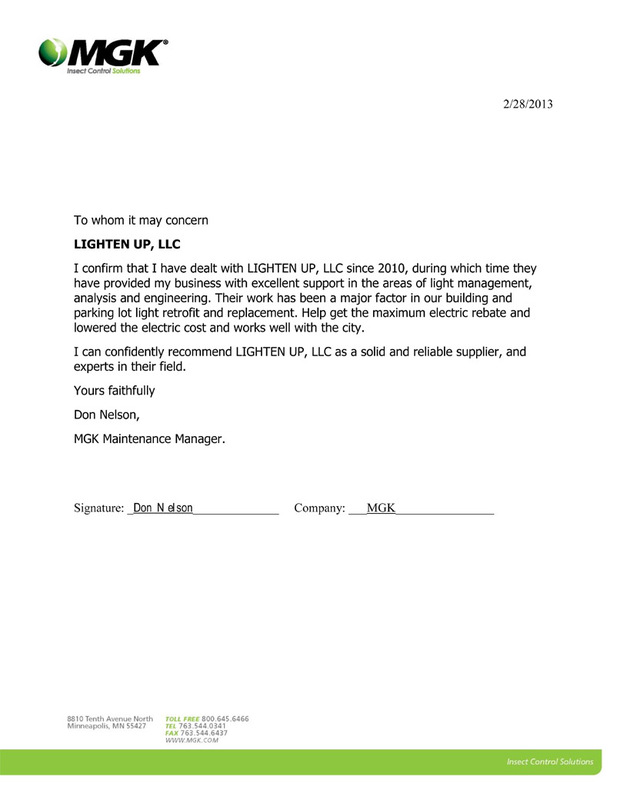 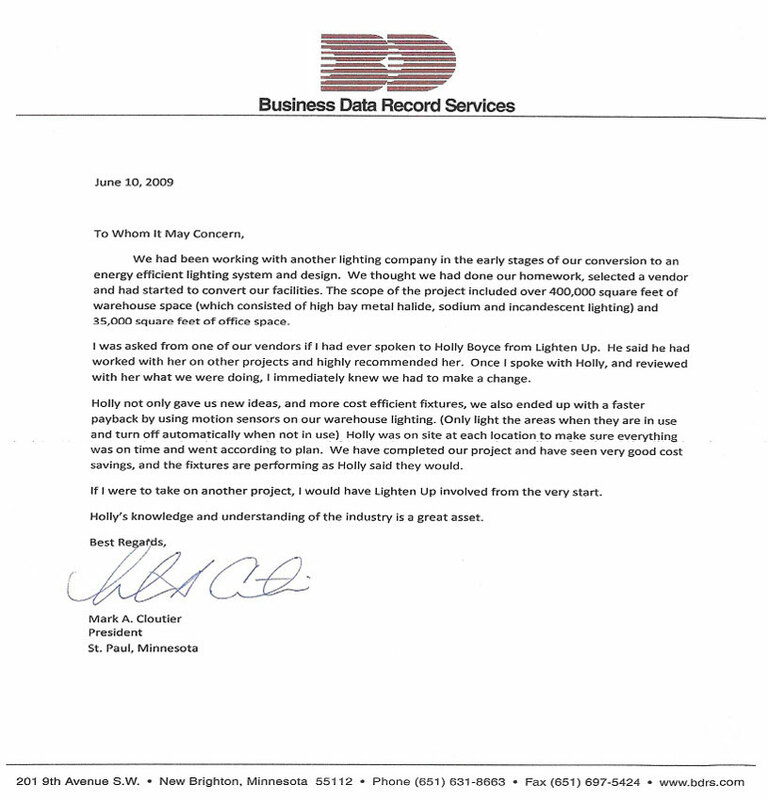 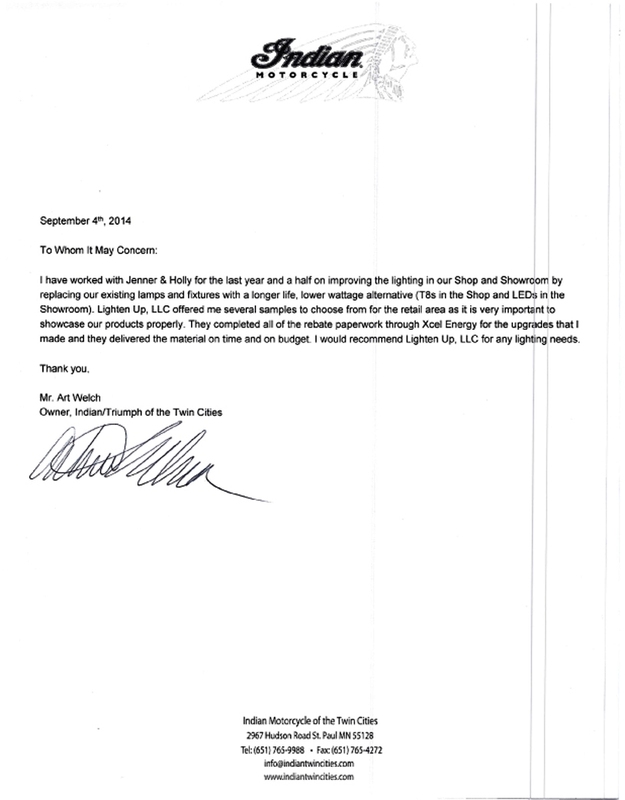 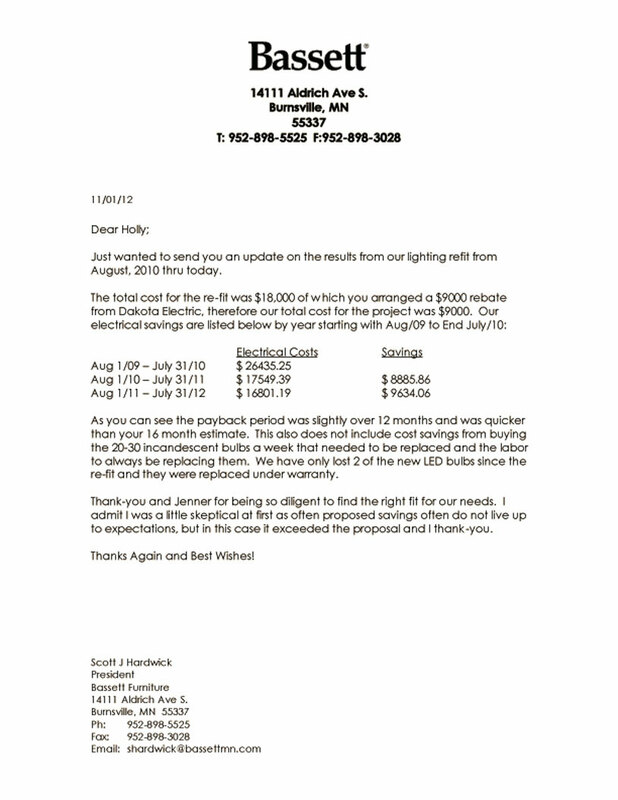 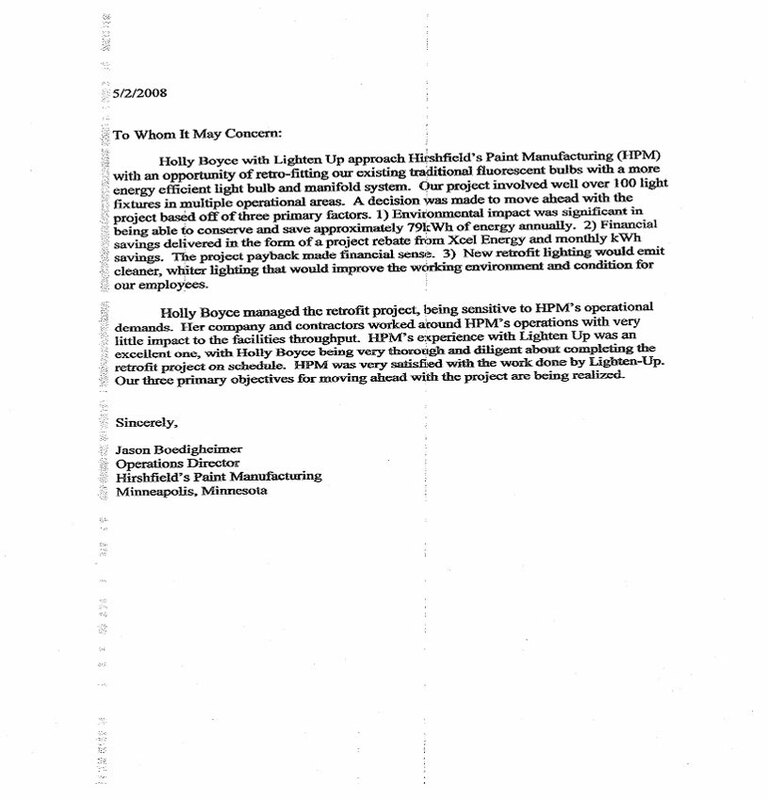 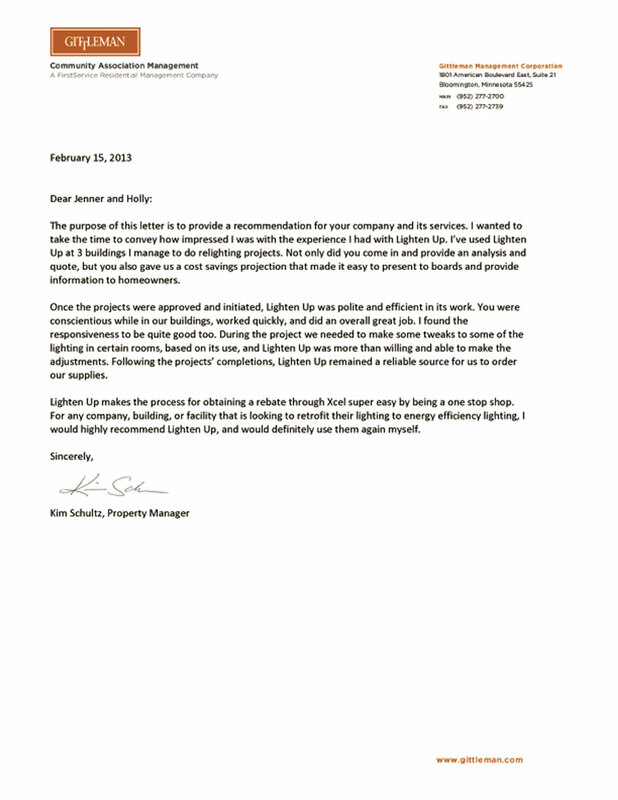 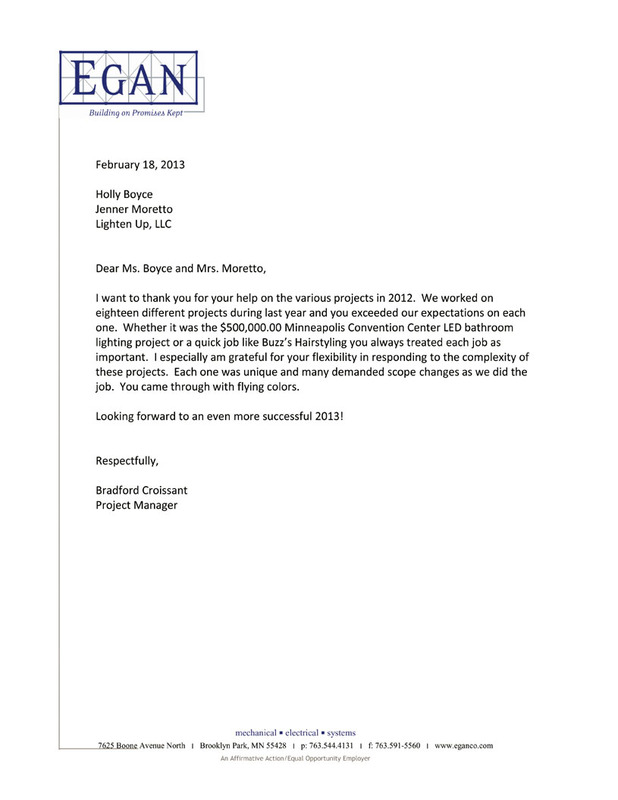 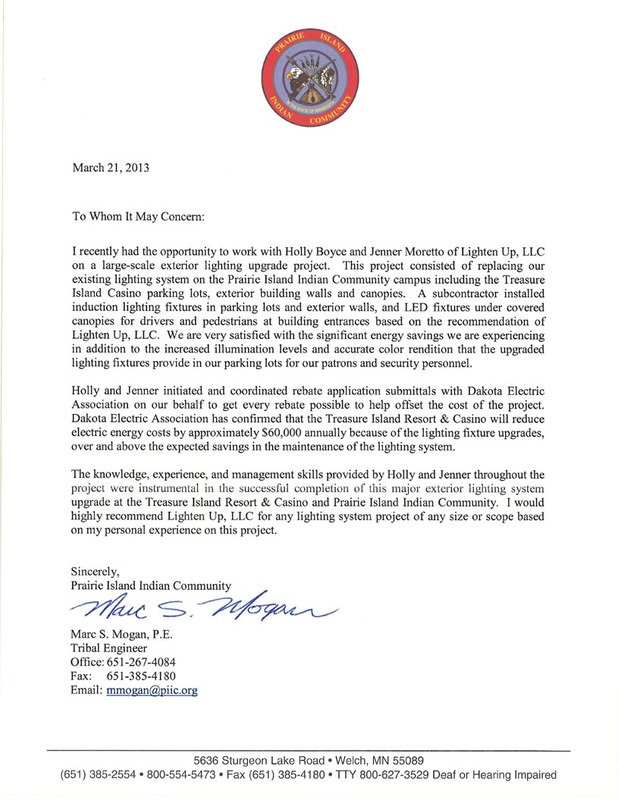 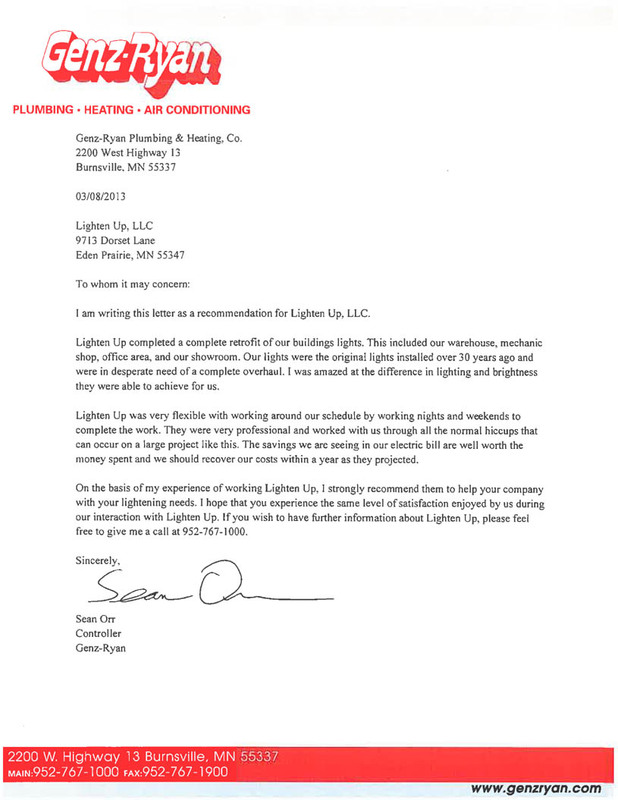 Rebates come in all sizes, Lighten Up, LLC takes care of all rebate paperwork for each project at no additional cost. 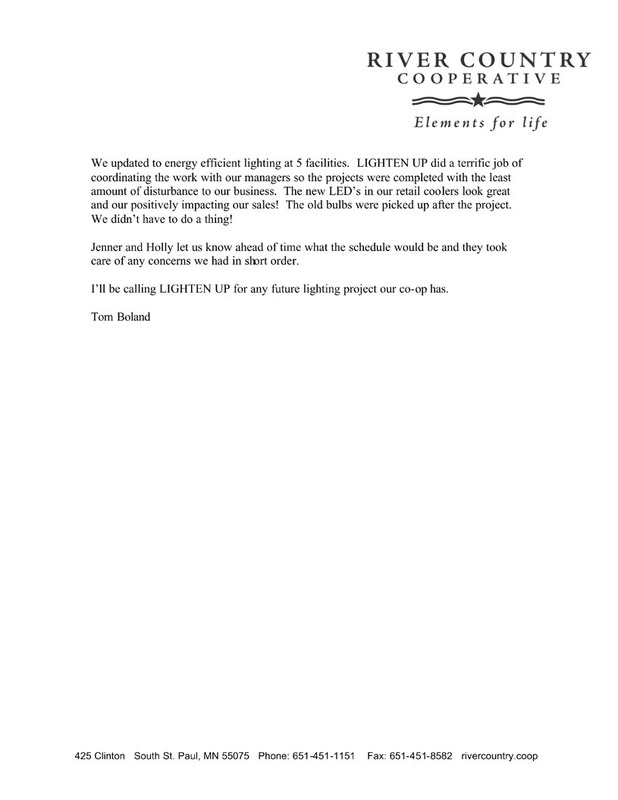 You get to enjoy the savings.